Posted on April 5, 2016 by academicbookfuture	in academia, academic books, publishing and tagged Africa, Dr Ola Uduku, KNUST. Academic books in Africa, despite being produced and available for at least half a century, are now a rare sight to behold in the continent’s academic institutions. Locally-authored academic books are even harder to find. 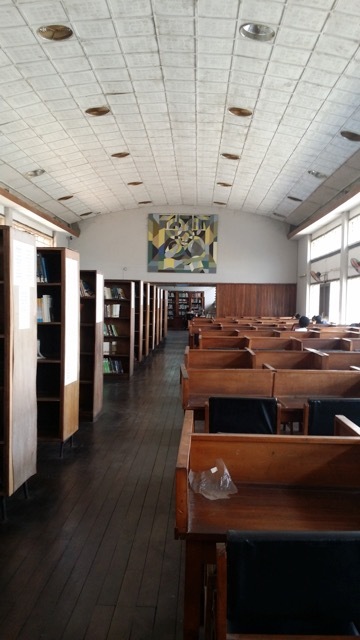 As a frequent traveller to West Africa over the past five years, and a writer on school design in Africa’s schools, higher institutions and libraries, I have both encountered and studied many of the buildings that hold these repositories of knowledge. Beginning with this educational infrastructure, this post will explore the spaces which books and readers inhabit and then consider what books are being written and published, and what kind of future both academic publishing and the physical book might have in Africa. For the purposes of this discussion I am restricting my investigation of the academic book to undergraduate textbooks. These are perhaps the most basic form of the definition: more high level academic texts in this context would be even rarer to find in tertiary institutions. In both Ghanaian universities I visited recently, undergraduate courses in the humanities still had academic textbooks on their curriculum reading lists. At this level, the texts are a mix of locally- and internationally-published books, with a predominance of the latter. No journal articles were available to view on public open access, making them extremely difficult to obtain, although with the open access computer lab at KNUST (the Kwami Nkrumah University of Science and Technology, Ghana) journal articles were available digitally. Despite being a few hundred miles south of Timbuktu, libraries and universities in this area of Africa can hardly live up to their scholarly description. 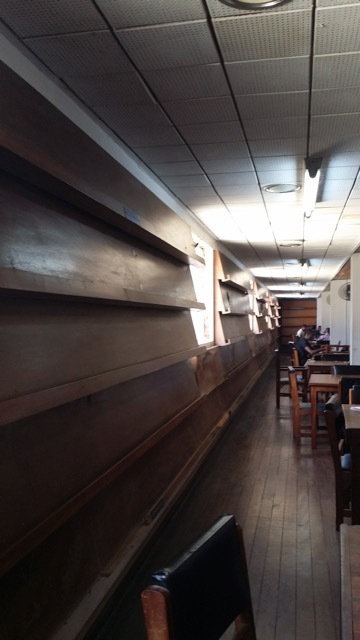 In my experience of libraries in Ghana and Nigeria, it seems that the buildings themselves are still important components of university campuses, but their physical book stocks and use are less certain. On a recent visit to libraries at the KNUST and Legon Universities in Ghana I was able to make certain first-hand observations. The libraries seemed reasonably well-maintained, furnished, and staffed, making these historic ‘modernist’-designed structures appear to be viable places to study and borrow books. However the reality is somewhat different: library stacks are sparsely stocked, holding some editions of historic text books, but rarely any up-to-date journals or printed matter. Unsurprisingly there are few students using the library reading spaces for study – proportionally it seems there are often more staff than users of these libraries. The only exceptions to this depressing state of affairs are the ‘IT’ and ‘open access’ computer suites, which provide banks of desktop computers in air-cooled spaces, allowing students access to digital resources online. At KNUST, this was the most student-populated space in the entire library – one floor up a further computer suite was being fitted out during my visit. For Ghana’s historic ‘premier’ universities then this was the state of affairs: poorly resourced physical book and journal stock, with emerging digital resources being available via centralised library desktop computer facilities. 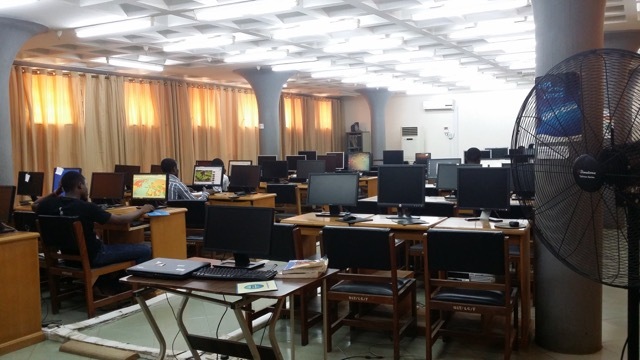 Computer areas at KNUST Library. Credit: Dr Ola Uduku. Discussing my own observations with academics in Ghana, a number of key issues surfaced. Firstly the generic problem of all academics: the time to write. Most academic departments were overstretched and understaffed, and lecturers therefore did not have the time to do more than fulfil the teaching required of them. 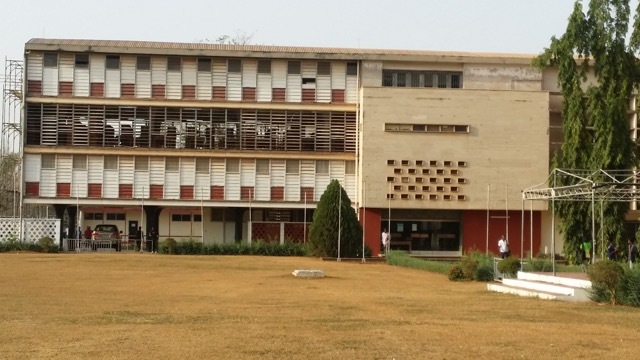 Some schools, such as the Institute for African Studies at the University of Ghana, did have a sabbatical system in place, but this seems to be an exception to the general state of affairs. Secondly, undeniably many academics in Africa lack the training or support to write academically. Whilst the African Studies Association UK (ASAUK) has hosted a number of successful writing workshops, mainly targeted at emerging and young staff, these have tended to be ‘one off’ events, driven by UK researcher interests. The example of the Wits Writing Centre at the University of the Witswatersrand would perhaps be a more appropriate way to address this. By having the Writing Centre on campus, always available to staff and students, this both foregrounds the importance of writing and gives access to writing support to all staff and students at the university. Finally, as with the UK, in most African universities, for career advancement and promotion academic books are less critical than the refereed academic paper. In Africa, publishing itself takes significantly more time to achieve with the vagaries of production, editing, and printing in the African setting. There are of course publishing houses in Africa, but their focus is not on academic book publishing. So what might the future look like for academic publishing in Africa? A piece I worked on last year considering specifically the issues related to the future 21st-century classroom for primary and secondary education has some relevance to the tertiary sector also. If we start from the premise that academic material for student study will need to be provided, and the current system of distribution, via the academic textbook, either individually purchased or available for loan via university library outlets, is flawed and no longer works, then we need to explore what the future learning landscape might be. In my work on schools the idea of the ICT-linked classroom came to the fore, which posits a situation where students from higher primary level learn through networked cheap personal ‘tablet’ readers to which material is downloaded in ‘packets’ (Uduku, 2015). ‘Packets’ are small units of material, such as chapters or homework/task exercises, which can be downloaded by students using today’s cut-price mobile devices. This is predicated on the further spread of wireless hotspots to more inaccessible areas through the use of GPS satellite technology, already in use by health and aid organisations in remote regions of the world. Taking this idea to tertiary education, the concept translates to publishing also becoming increasingly digital, with materials being produced in smaller ‘packets’, likely to be chapters or sections, which student mobile devices would be able to deal with. Thus, instead of publishing a 7-chapter ‘e-book’ on anthropology, this would be distributed as seven separate chapters, downloadable, either for purchase as digital mini e-books or for borrowing sequentially, using a university server. The facilities needed for this would change the face of library facilities – the book stacks would disappear, with only a limited reserve section left, whilst there would be significantly less investment in computer hardware and more in ethernet and wifi infrastructure needed to support better, high speed access and download rates. The library spaces thus would not disappear, but be used more as areas of access to high speed broadband and wifi connections that students and staff could use for free to link their own devices to the the internet to download material for study and reading, at differential pricing: free for loan periods, or at a discounted price by chapter. In the West this would be termed a ‘BYOD: bring your own device’ policy, which gives the responsibility of the hardware required for online access to the students and users of the material. In my recent experience in Ghana, most tertiary level students had both computers and also smartphones, so this policy could easily be implemented, although clearly it would take longer to institute in poorer countries. Enhancing and increasing African academic authorship is likely to take a longer sustained programme of local and international support. The need for sabbatical time off is crucial for all academics, arguably more so in Africa and other emerging economies where staff are overburdened with teaching. As not all staff are going to be lucky enough to receive scholarships or collaborative grants, the need to work on developing local writing centres and support programmes for writing in critical. As mentioned above, there are existing models such as the ‘Wits Writing centre’ that could be instituted in universities, or perhaps at regional level. This would mean that there would be less dependence on programmes from abroad or occasional workshops, and could result in the development of an African academic writers network, likely to be in association with African publishers. Thus an academic ‘hub for writing and publishing’ at larger universities or at regional level would be a possible way forward, to be refined to best suit the needs of regional or large universities. Again such ‘hubs’ would by definition not be insular but hopefully prove to be forums, both physical and ‘in the ether’ for international collaborations also to take place. It seems to me that the ubiquitous nature of the Ethernet and high speed networks, combined with ‘Moore’s law’ bringing down the cost of personal mobile devices, could be a positive force for African book publishing to make the move from physical to digital and enjoy a 21st century renaissance . Uduku, O. (2015) Designing Schools for Quality: An International Case study-based review, International Journal of Educational Development, vol. 44 September 2015. 56 – 64.